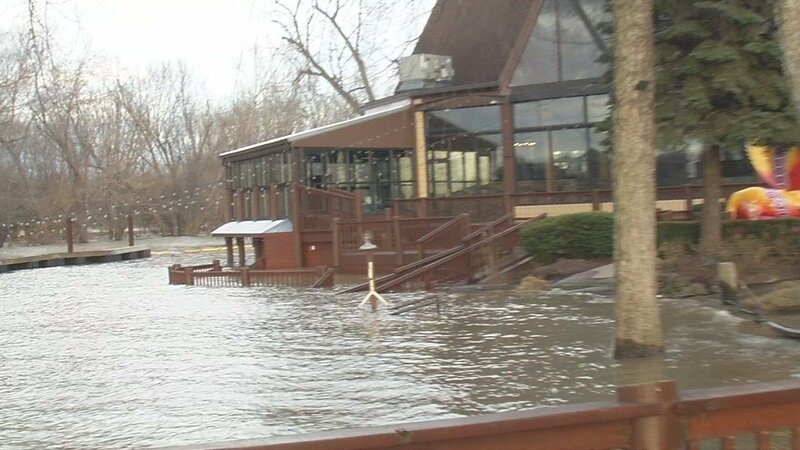 The Dearborn Trail as well as Aurora's Lesko Park and Gabbard Riverfront Park were flooded by the swollen river on Monday. Flood stage is at 42 feet. Overall, flooding of lowland and poor drainage areas should increase over the next week or so.